04 Feb EVs Are All the Rage – But What About the Battery Charger? It’s getting easier to own an electric vehicle in the Bay Area. 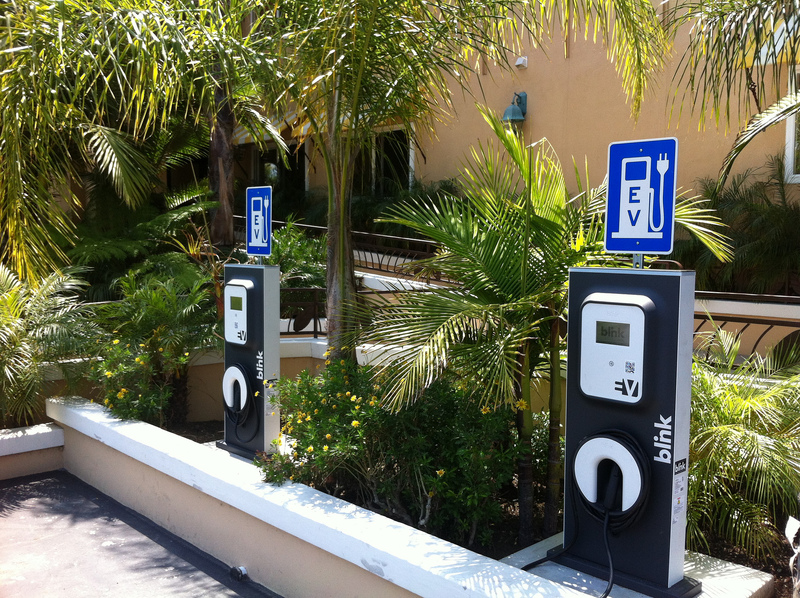 The addition of public charging stations in San Francisco, and the surrounding communities, has made it possible to charge a vehicle somewhere other than in your own garage. Of course, this doesn’t eliminate the need for an EV charger system at home, but it is a step toward extending the time you can spend away from home. Public Charging Stations charge about $3 an hour to charge you vehicle. One of the early adopters, the city of Pleasanton, not only installed public charging stations at the Civic Center last January, they’ve also added a branch of City CarShare. Toyota and CarShare have launched the Dash program to allow members to reserve and use area electric cars by the hour. Over two dozen Scion iQ-EVs are available in and around the Hacienda Business Park, 24 hours a day, 365 days a year. This is an excellent option if you don’t want to go all-in on a new vehicle right now. Why do we bring this up? It looks like a step in the right direction to us. Still, switching to an EV is not as simple as heading out to the dealership and making the purchase. Doing a bit of research at California’s Drive Clean site should be a priority. Then, before dropping the cash on your new car, you should determine if your home is ready for the charging unit. After all, it won’t do you any good to have an electric vehicle if you can’t charge it at home. Have a licensed electrician come to your house and do a load calculation to make sure your current set-up is ready for an EV charger. Decide what type of charger is needed (either a standard outlet or wall mounted unit). Evaluate the best place for the charger to be located. Determine the cost of a fully installed charger system of the type you want in the location you need. This is one of the most overlooked parts of the EV buying process, and could make the difference between an EV being the right choice for your family or being a budgetary nightmare.